Open call for submissions now open for Britten Sinfonia’s competition for unpublished composers, OPUS2018. Britten Sinfonia’s OPUS competition is an open call for scores from UK-based composers in the search for the most exciting compositional talent. With no age restriction and submissions welcomed from all musical genres. Now in its fifth year, OPUS2018 offers unpublished composers the chance to receive a professional commission as part of Britten Sinfonia’s award-winning At Lunch series. Previous OPUS winners are among the best up-and-coming compositional talents in the UK however, we want to push the boundaries further, widen the parameters, challenge ourselves and our audience and discover new musical terrain and all the creative potential therein. With this in mind, OPUS2018 presents a new challenge to composers, retaining the core values true to both the competition and Britten Sinfonia as an organisation and evolving the competition and the At Lunch programmes in which the winning commission is couched. 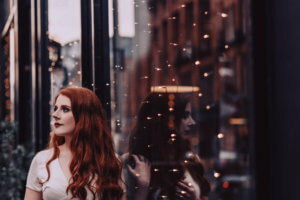 OPUS2018 combines folk singer and BBC Radio Scotland Young Traditional Musician of the Year 2018, Hannah Rarity, with a piano quintet of Britten Sinfonia’s musicians to form the ensemble for which the OPUS competition winner will be invited to write. Working with emerging talent from a non-classical field and including the use of text for the first time introduces a new and exciting edge to OPUS: allowing us to continue the search for a unique, new compositional voice, challenging shortlisted composers to expand their existing musical knowledge, opening the competition to a potential new and alternative range of entrants and audiences alike. 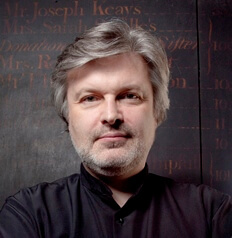 Five shortlisted composers will receive mentoring from Sir James MacMillan and the opportunity to workshop their pieces with Hannah Rarity and a Britten Sinfonia ensemble at Saffron Hall. The winner will receive a commission fee, a recording of their piece, and at least three performances as part of our At Lunch series in London, Norwich and Cambridge. For more information, project brief and submission guidelines click here.